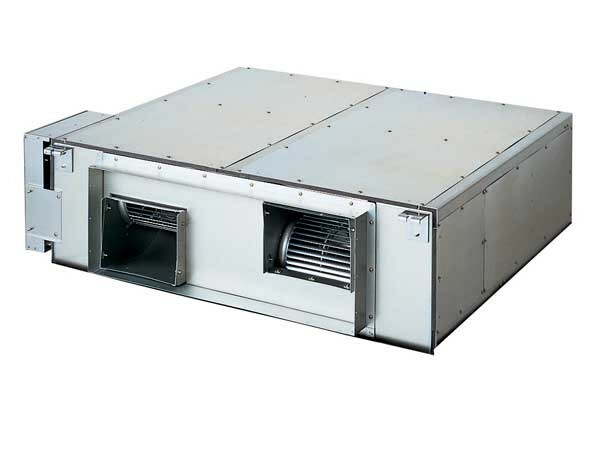 Designed to provide medium to large commercial operations with enhanced installation flexibility through high static pressure and large air volume, the new product is part of an expanded line-up of air conditioning solutions that ensure a comfortable experience at lower costs for developers and business owners. Joe De Bella, Product Marketing Manager – Air Conditioning, Panasonic Australia explains that the new 20kW high static pressure ducted unit is designed with flexibility in mind for installers. The static pressure is selectable from a 72 Pa to 270 Pa range, enabling the use of long duct work for installation in a wide range of spaces. The new unit is recommended for large-scale offices, restaurants and other commercial facilities. Four sensors in the new Panasonic high static pressure ducted unit control the discharge air temperature for accurate room temperature control and reduced draft during heating. A new heat exchanger with an increased heat transfer surface ensures greater efficiency by reducing the sensible cooling load by as much as 10 per cent. The new unit is compatible with Panasonic’s deluxe wall controller comprising of a touch panel control for increased ease of use and energy usage monitoring, offering users a real-time system to ensure cost-effective comfort. Key features of the Panasonic high static pressure ducted air conditioning systems include exclusive inverter technology designed to adjust the compressor rotation speed to provide optimum performance at all times, enabling quick cooling and heating while reducing power consumption; variable speed DC fan motor delivering significantly higher efficiency; industry leading operating range of -20°C to +46°C to cover Australia’s harshest climates; and piping extendable to 180 metres for increased flexibility in installation. The wired and wireless controllers allow control of an individual unit while the timer controllers allow central control including both daily and weekly timer operation. The system controller allows central control of up to 64 units, which can also be grouped into floors and zones. Panasonic’s new intelligent touch screen controller allows up to 256 indoor units to be monitored and controlled from one central point. The PC based P-AIMS software allows up to 1,024 indoor units to be controlled by a single PC, either on-site or remotely. The software also allows load distribution monitoring to accurately record the amount of power used by each tenant. A more basic on/off wall controller allows a simple push button operation to control each indoor unit. The 20kW high static pressure ducted unit (S-200PE2RS indoor unit and U-200PE1R8 outdoor unit) is available now through Panasonic authorised specialist air conditioning distributors and dealers.